A necessity on any multi-day backpacking trip, your pocket knife needs to be lightweight and packable. Let us guide you to the best pocket knives of 2018. 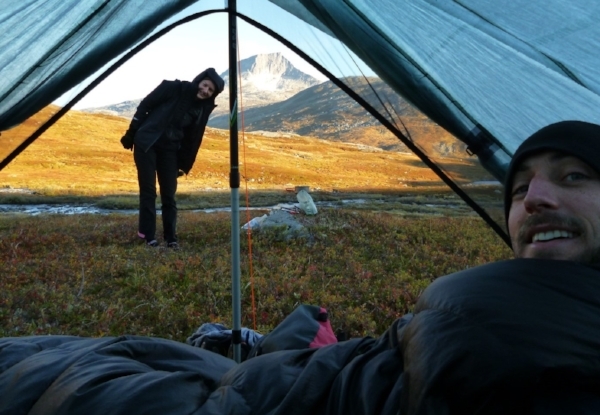 On multi-day backpacking adventures a knife can be useful for cooking, the odd repair job, or small cutting tasks around camp. But it is an accessory that needs to be lightweight and packable for the 99% of the day that it is not in use. The pocket knives in our list below provide the perfect compromise between size, weight, functionality, and durability. Our list includes two knives that won't break the bank (the Opinel No. 7 and the Victorinox Classic SD). But we also include two more expensive knives that are suitable for those who need a more serious blade (e.g. for hunting) or who want a knife with a higher quality finish and are willing to pay for it (the Kershaw Leek and the Benchmade 585 Mini-Barrage). 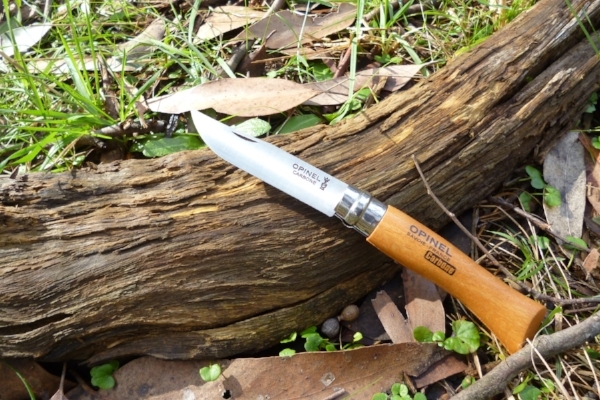 Our top choice for backpacking knives: the Opinel Stainless Steel No. 7 (8 cm blade) Pocket Knife. The Opinel range of traditional pocket knives are hard to beat if you want a lightweight, all-round, backpacking knife at a bargain price. They are lightweight, easy to use, remain sharp, look good and are great value. If you aren't keen to spend a lot of money on your pocket knife then this is the perfect knife to choose. The Opinel pocket knives come in either a carbon steel or stainless steel blade. We recommend choosing the stainless steel blade since it is more resistant to corrosion and requires less care and maintenance. The Opinel knives are also available in a wide range of sizes. 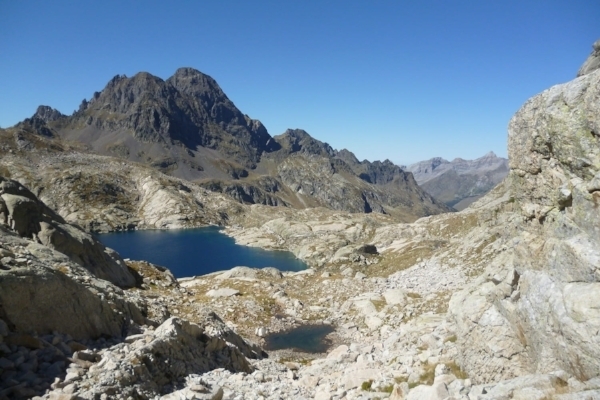 For general backpacking use, we recommend choosing either the No. 6 (2.8 inch / 70 mm), No. 7 (3.0 inch / 77 mm) or No. 8 (3.2 inch / 82 mm) knives. These sizes provide a good balance between usability and portability. If you are considering purchasing one of the Opinel pocket knives then we suggest reading our full review. The tiny Victorinox Classic SD is really a classic, and has useful features not found on most other pocket knives. For the minimalist or the ultralight hiker, the Victorinox Classic SD keychain pocket knife is a classic choice. It provides a small straight blade (1.5 inches; 40 mm), scissors, small screwdriver/nailfile, toothpick, and tweezers, all in an ultra-compact package. We find the blade, scissors and tweezers useful, but the other parts a little redundant. Nonetheless, it's handy to have them just in case. The blade on the Classic SD is well-made and reliable. But it is very small and thin, so it won't last through extended use. If you plan to use the knife regularly, or for heavy duty cutting tasks, then consider one of the other knives in our list. Also, the knife is very small to hold, so with extended use it can get uncomfortable. We only suggest such a small knife for minimalists, ultralight backpackers, or those who only wish to use their knife infrequently. Personally, we wouldn't even want to use the Classic SD for regular cooking on the trail. The determining factor here is whether you want the additional features that the Classic SD provides. If you think scissors will come in handy on your backpacking trips, then it is worth considering. But remember that you will be sacrificing blade length and handle comfort to get them. So, with the Opinel range you can get a much longer blade than the Classic SD for the same weight, or the same length blade as the Classic SD in a much lighter package. Nonetheless, the Classic SD really is a classic. And it is well-made and reliable. Do you want scissors or a key chain on your knife? If yes, then consider the Classic SD. If not, then look elsewhere. The Kershaw Leek is beautifully crafted and has a range of nice features like assisted opening, open/close locking mechanisms, and a pocket clip. If you are willing to invest a few more dollars and carry a bit more weight for improved performance, then the Kershaw Leek is a great choice. This knife is superbly made. The blade is made from high quality steel and finds a good balance between thinness and durability. The knife has an inner spring that helps assist with opening the blade. You simply need to push the flipper switch on the back edge of the knife. It then uses a liner lock to secure it when open. This setup means that it is relatively easy to open this blade with a single hand. After use, when the blade is closed, there is a slider locking mechanism that can be used to secure it. There is also a pocket clip on the side of the knife. The pocket clip can only be mounted on one side of the knife, but you can mount it so that the knife sits either tip up (i.e. the tip of the blade at the top of the pocket clip) or tip down (i.e. the tip of the blade at the bottom of the pocket clip), depending on your preference. The manufacturing of this knife is far superior to the Opinel No. 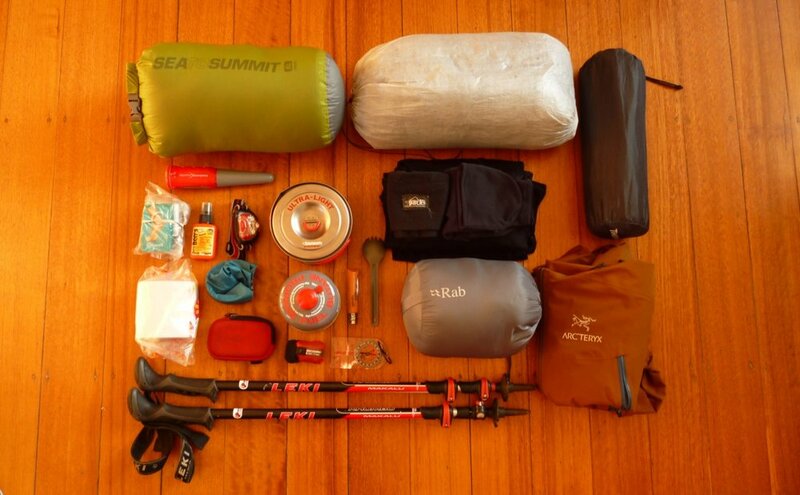 8 (our top pick for backpacking trips), but it is also slightly heavier and more expensive. It is also extremely thin, which is great for packing it away, but also means that when in use the handle can be difficult to hold for long periods of time. If you have a large amount of of cutting to do, then a larger or more rounded handle like on the Opinel No. 8 will be more comfortable to hold. For most backpacking trips, the Kershaw Leek will easily be sufficient. It is a beautifully made knife that finds a nice compromise between price and quality. The 585 Mini-Barrage is a top quality compact knife with an easier-to-hold handle than the Kershaw Leek. For those looking for the best of the best, the Benchmade 585 Mini-Barrage is likely to be it. This pocket knife is beautifully made, will last a lifetime if cared for properly, and comes with a lifetime servicing deal from Benchmade. So, even though this knife is pricey, we believe it is worth the money if you are willing to pay it. The 585 Mini-Barrage is heavier than the more budget knives in our list owing to it's better quality, stronger blade and more sturdy design. For that reason it is more suited to those who will require a knife for heavy duty tasks. If you are likely to need your knife for hunting or fishing on your backpacking trips then this knife is the perfect choice. Although the knife is relatively compact, it's handle provides enough grip to apply sufficient pressure during almost any task. 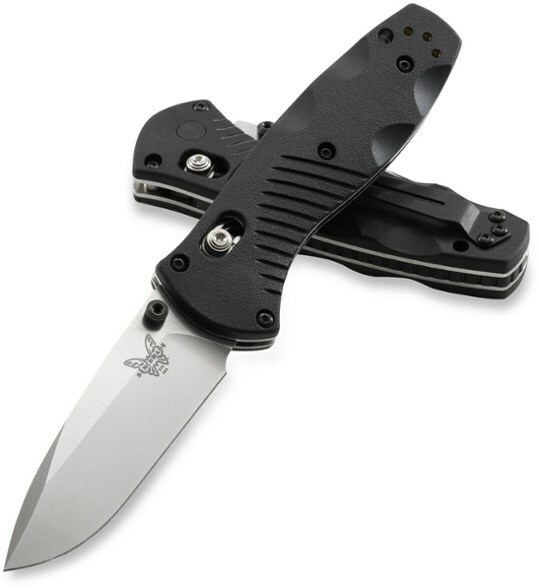 The main benefit of the Benchmade 585 Mini-Barrage over the Kershaw Leek is that the Mini-Barrage has a handle that is easier to grip during long duration or heavy duty cutting tasks. However, if you only need a knife for light duty tasks, then the Kershaw Leek is slightly cheaper alternative and a very worthy competitor. The 585 Mini-Barrage features a brilliant spring loaded opening mechanism that means the blade can be both opened and closed with one hand, regardless of whether you are left-handed or right-handed. The studs found on either side of the base of the blade assist in this task. The blade is automatically locked open when the spring opening mechanism reaches the end of its travel. If you wish to lock the blade closed when the knife not in use, there a sliding clip mechanism on the edge of the handle to do so. A reversible pocket clip means you can always find a convenient way to wear or transport it. The blade is made from 154CM stainless steel, thereby ensuring it is corrosion resistant and the edge remains sharp. As you would expect from a knife in this price range, the design is sturdy and the manufacturing is precise. This ensures there is no slip or blade wobble when applying pressure. The knife comes with a lifetime warranty, as well as a "LifeSharp" lifetime servicing deal from Benchmade. If your knife ever needs sharpening, then you can return it to Benchmade and they will take care of it free of charge. When you factor this kind of servicing deal into the investment, the purchase price doesn't seem so bad.Note that our preference is for a straight blade, but if you prefer a blade that is half-serrated then check out the 585S version.